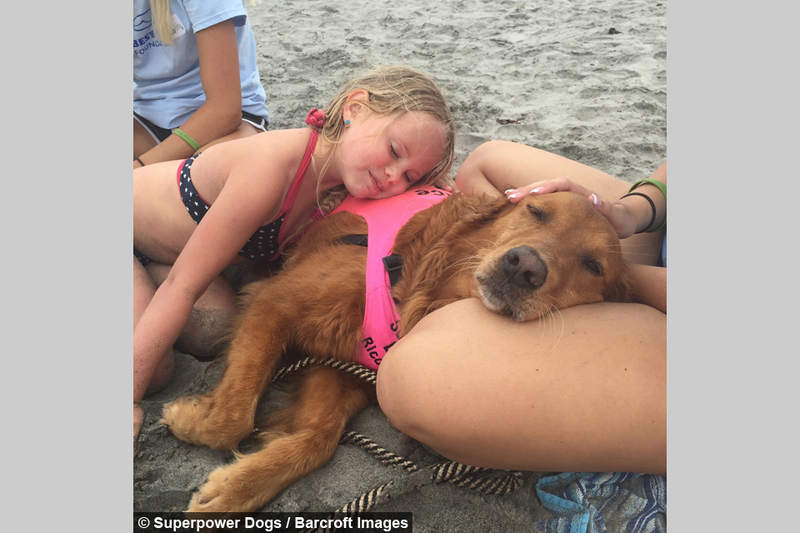 Eight-year-old Golden Retriever, Ricochet, is a therapy dog with a talent far exceeding the doggy paddle. 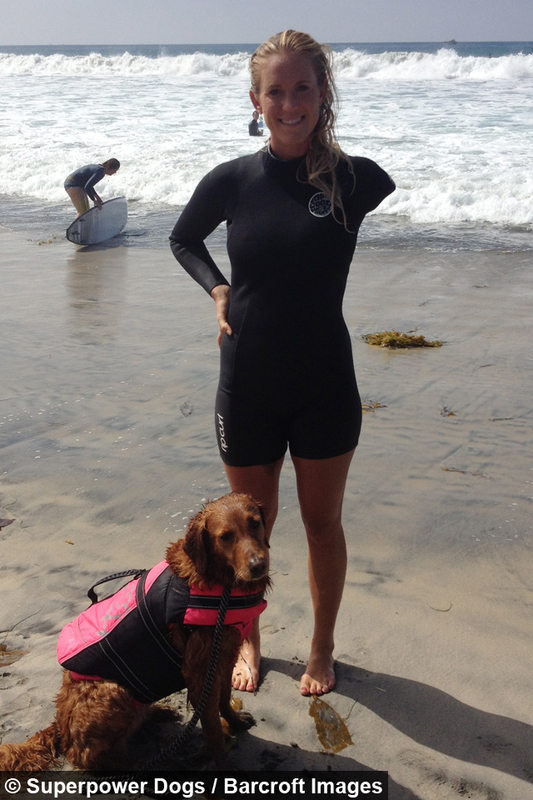 The canine, from San Diego, California, first hit the tide when she was just a pup after rejecting service dog training. Now she uses her skills to give confidence to children with disabilities, amputees and soldiers suffering post-traumatic stress disorder. And is now set to star in a 3D movie for IMAX screens called Superpower Dogs, which will celebrate Ricochet’s amazing abilities and her remarkable bond with those people she helps. 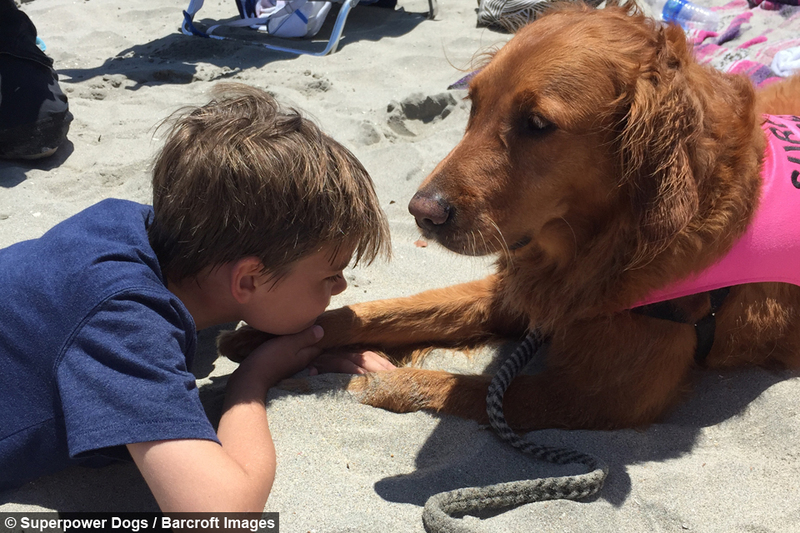 Ricochet’s owner, Judy Fridono, who has a degree in Service Dog Training, said: “She just seems to connect on that heart to heart level with people. I just know by the way that she behaves that she can tell how a person is feeling. Judy, 58, initially intended for Ricochet to work as a guide dog, but the playful pup was too distracted chasing birds to make the grade. But Ricochet’s ability to intuit emotion – combined with her surfing dexterity – meant that she was able to help people in a less conventional way. 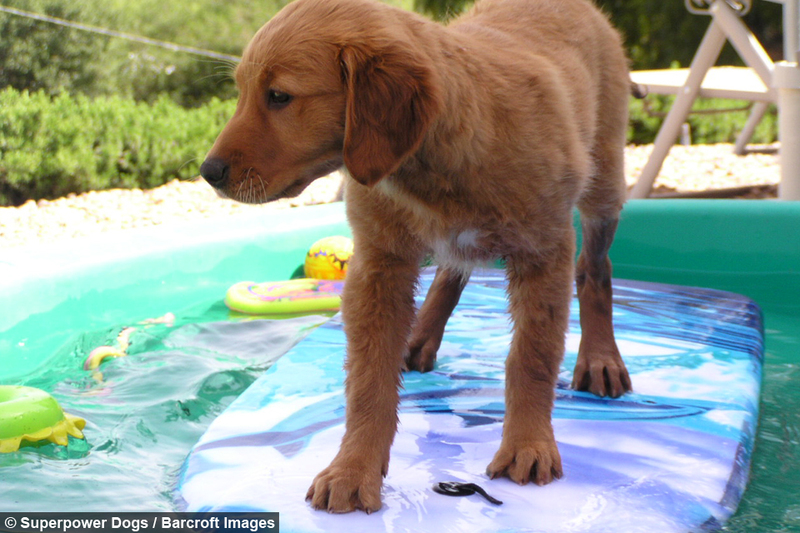 Judy said: “When she was eight weeks old she was in a kiddie pool and there was a little board inside and she climbed on and had really good balance so I kept playing around with it. “She actually made that decision and showed me what to do. "I thought maybe she could raise some money or something and her first fundraiser was for a quadriplegic boy. “My idea was to put her and the boy on separate boards but she jumped onto his board with him and at that point I literally saw her come to life. 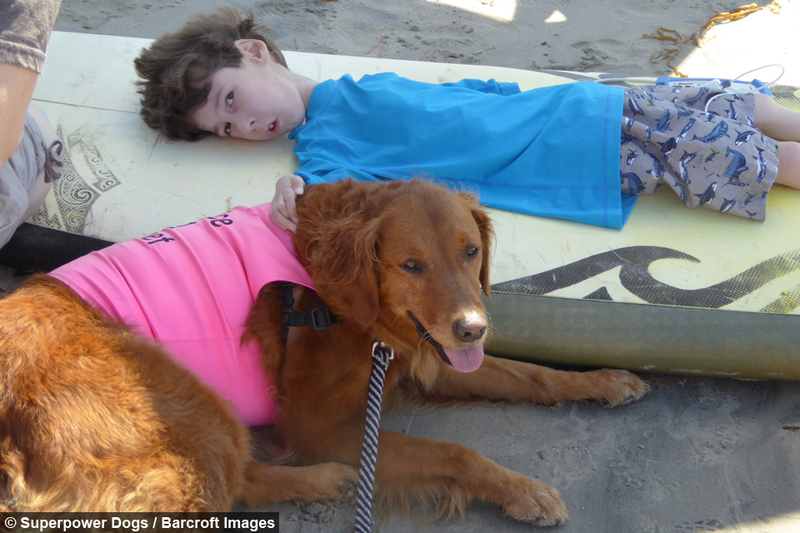 “This is what she was here to do and that is why we call her a SURFice dog – rather than a service dog. Judy said: “The transformation in some of the people she has worked with has just been incredible. 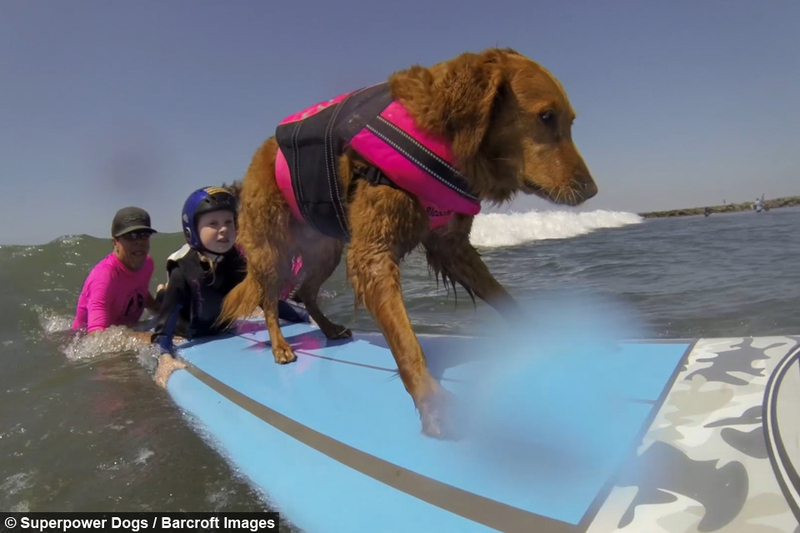 Ricochet is now an ambassador for a number of assisted surfing organisations, including Life Rolls On and Judy’s own non-profit company, Puppy Prodigies and has bagged herself a starring role in Superpower Dogs. The 3D movie celebrates powerful pooches like Ricochet, and will showcase the remarkable talents of working dogs by following several real-life canine superheroes as they brave earthquakes and avalanches, bring animal poachers to justice, and protect us from danger. 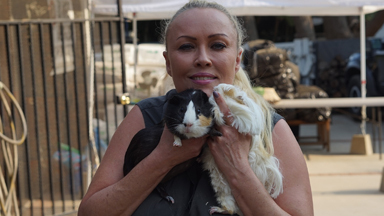 Producer of the film Taran Davies said: “Superpower Dogs will give people an entirely new perspective on the amazing abilities of dogs and their heroic achievements. 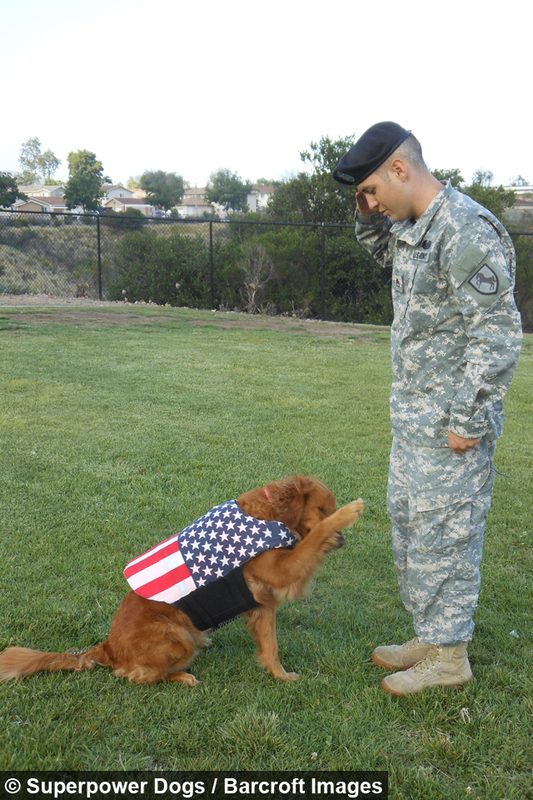 “In the movie we’re going to meet a number of veteran working dogs all over the world. We’re going to the Canadian Rockies to show the work of avalanche rescue dogs, who can find people buried in 15 feet of snow. “We’re going to travel to Kenya where Bloodhounds are right now tracking down animal poachers and saving endangered species such as elephants and rhino. 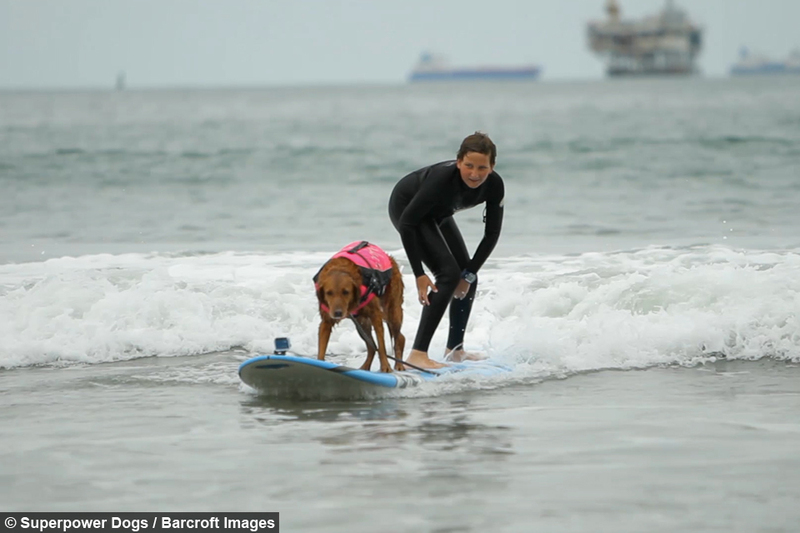 For a time Ricochet found success in dog surfing competitions – routinely finishing in the top three – but she gave up surfing competitively to concentrate on her work with people. 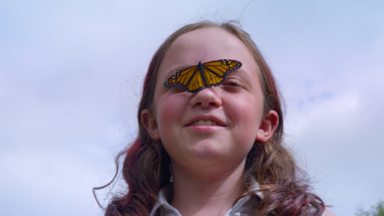 Now she takes part in an autism surf camp during the summer months and recently headed up a new programme working with army veterans and children. Judy said: “We are bringing people back who Ricochet has helped to help others. 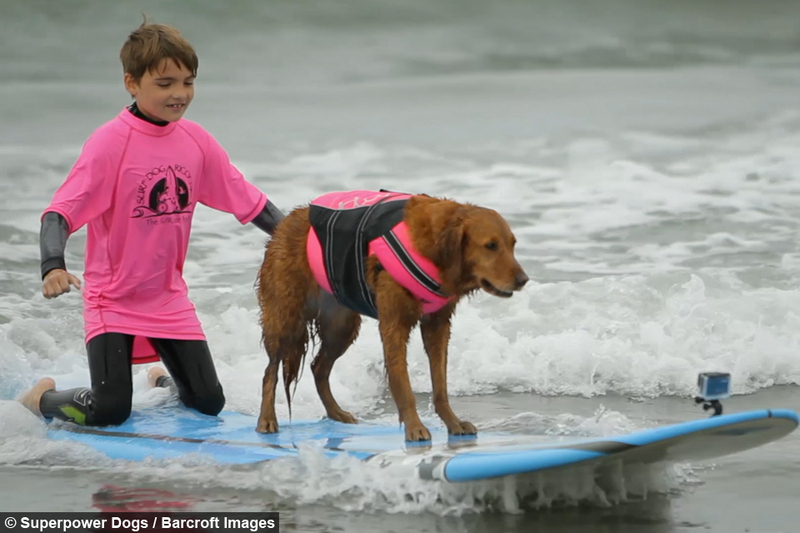 “We had a 10-year-old boy who used to be afraid of dogs and water and he’s come such a long way and now he’s helping other kids. “Everyone for the most part is disabled but they’re helping each other. Ricochet also works with a volunteer organisation called Best Day, helping children with special needs. Todd Gasparik, a Best Day organiser, said: “She makes our jobs easier because when Ricochet is around the kids are drawn. Kevin Carter, a Best Day volunteer, said: “Ricochet makes children more comfortable. Judy is now preparing for the arrival of a golden retriever Labrador mix puppy next month, which she hopes will join Ricochet in her legacy. 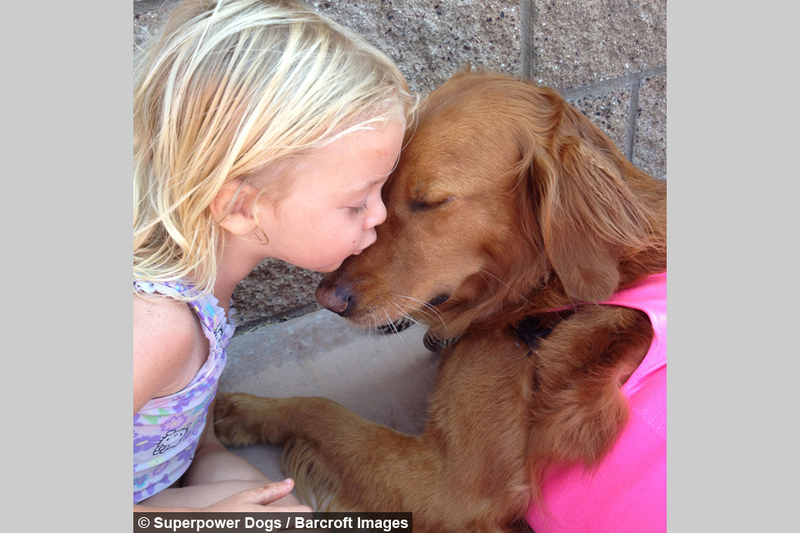 She said: “They’re called Superpower dogs for a reason. I hope the puppy can help people in the way Ricochet has.